The Smithsonian American Art Museum’s third annual SAAM Arcade highlights the groundbreaking work of video game developers, provides educational tools and fosters creativity for the future of video games. A central component of the event is the “Indie Showcase” that will feature 40 independent games created by both student and professional developers. This program is part of the museum’s ongoing commitment to the study and interpretation of video games as part of the national visual culture. Visitors will have the opportunity to experience these independent games and gain an exciting glimpse into the innovative future of gaming. The Smithsonian American Art Museum is a leader in identifying video games as an art form and was one of the first museums in the United States to acquire video games as part of its permanent collection. Video games offer a compelling performance space, activated by artists and players alike, whose interaction creates a unique artistic experience. “SAAM Arcade” is a free public program with activities and performances in various locations throughout the museum Saturday, Aug. 5, and Sunday, Aug. 6, from 11:30 a.m. to 7 p.m. The 40 independent games will be presented in the museum’s Kogod Courtyard. A variety of analog and digital games also will be available for playing, including card games, pinball machines, virtual reality and arcade cabinets. Visitors can go back in time and experience classic games like “Asteroids,” “Pac-Man,” “Tron,” “Arkanoid” and “Donkey Kong” on their original devices in addition to the modern independent games, encouraging gamers of all generations to participate. The featured independent games were selected by a panel of independent game makers and industry veterans, who were brought together by American University’s Game Lab and the International Game Developers Association’s Baltimore and Washington, D.C., chapters. Developers from all over the world, including South Africa, Australia, China and Poland, submitted more than 150 games. A student development track was established this year, inviting burgeoning professionals to submit their work. One-quarter of the independent games to be presented at “SAAM Arcade” have been created by students. Several of the games developed by students integrate analog components in their controllers with digital displays for learning and skill building. “Tiler Teller ” teaches children colors and shapes using a felt puzzle cube that connects to a personal wireless device and guides players through a story. “Loominary” is a digital “choose-your-own-adventure” game that uses a loom as its controller, allowing gamers to weave a scarf reflective of choices they make within the game. “Smash Bro” teaches gamers how to use prosthetic limbs by measuring electrical impulses from the user’s muscles through Limbitless Solution’s electromyography board technology. Professional independent games such as “Perception,” developed by the engineers who created “Bioshock” from Deep End Games, also will be presented. In “Perception,” players are put in the shoes of a blind protagonist who must unravel the mysteries of an unnerving abandoned estate. 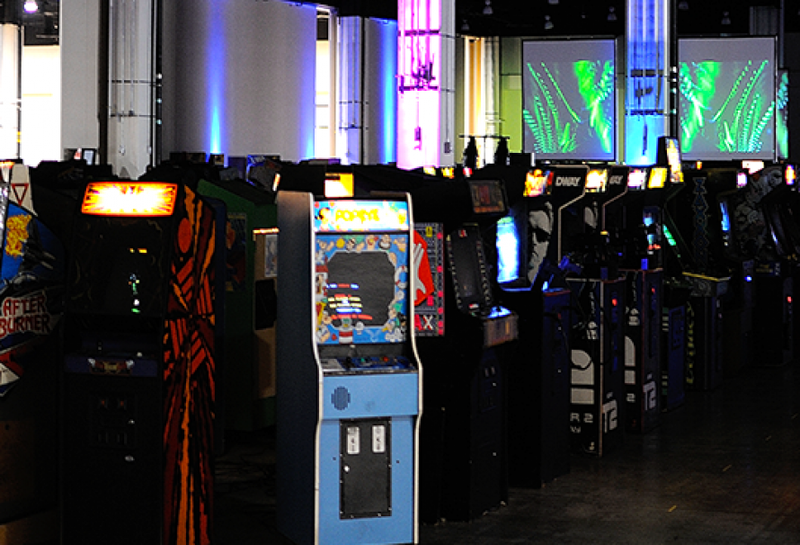 A full list of the independent games to be featured at “SAAM Arcade” is available online. Saturday, Aug. 5, Events DC will present the Boys and Girls Club Youth Esports League Championship with NRG’s Nairo. Boolean Girl and the Scholastic Art and Writing Awards will host game-building workshops, while musical groups Bit Brigade and Triforce Quartet perform songs inspired by classic video games. Visit the “SAAM Arcade” website and Facebook event for more information and to view a complete schedule of activities. 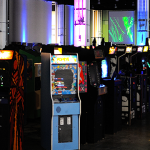 The Entertainment Software Association (ESA) Foundation is supporting “SAAM Arcade.” Arcade cabinets, pinball machines and consoles will be provided by MAGFest, Death by Audio Arcade, Arcades4Home and CrabTowne USA. The Washington City Paper is the official media sponsor for this program.